In a recent Fender official video where Johnny Marr is interviewed and we get to see the upcoming Lake Placid Blue Johnny Marr Jag we see a different board than what he’s touring with currently. You can see that post/vid here. That board was loaded up with Fender pedals, etc. I received some emails asking what was on that board, but you never got a good look from the video. 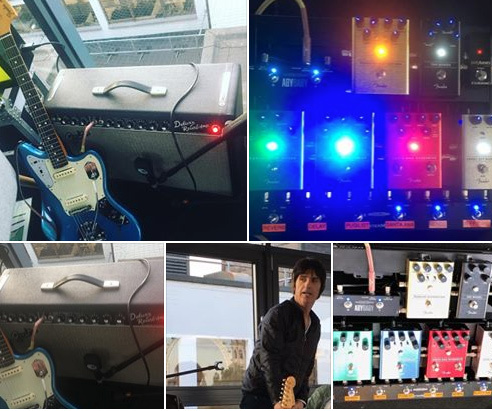 A few days ago, long time Effects Bay reader Cristián, let me know of a post in the Jazzmasters & Jaguars group on Facebook (you should join if you like these offsets – great group), where Lloyd posted some great shots on the Radio X interview including a detailed shot of the Fender board. Looks like he’s running all of the Fender line, and few other pieces to complete out the board. Let me know what you think by commenting below! Also… I still desperately want that Lake Placid Blue Marrguar. That’s not Johnny’s board. 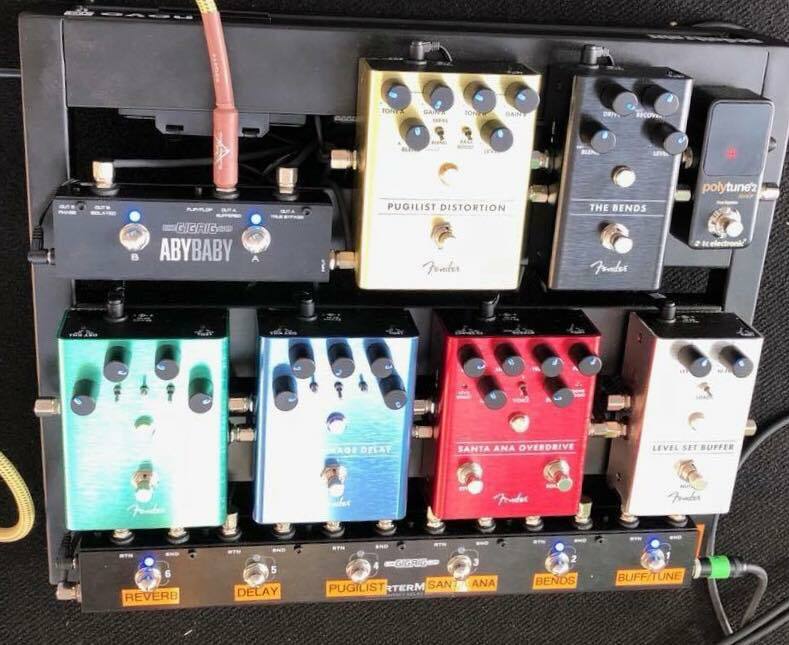 That’s a board put together by Daniel Steinhardt for the Fender Custom Shop Artist office in Lo do to showcase the pedals. There’s s That Pedal Show episode about it.